Since the late 1960s, photographer Oscar Castillo has documented the Chicano community in Los Angeles and South Texas. His subjects range from political events to cultural practices to the work of muralists and painters. His photographs explore major themes (social movement, cultural heritage, urban environment, barrio life) and approaches (photojournalism, portraiture, art photography). The Oscar Castillo Photograph Collection at the UCLA Chicano Studies Research Center contains more than 3,000 digital images that are available through an online archive. Editor Colin Gunckel brings together essays by scholars and artists who consider the social, political, historical, and aesthetic dimensions of Castillo’s body of work. Illustrations and a color plate section feature photographs from the archive. 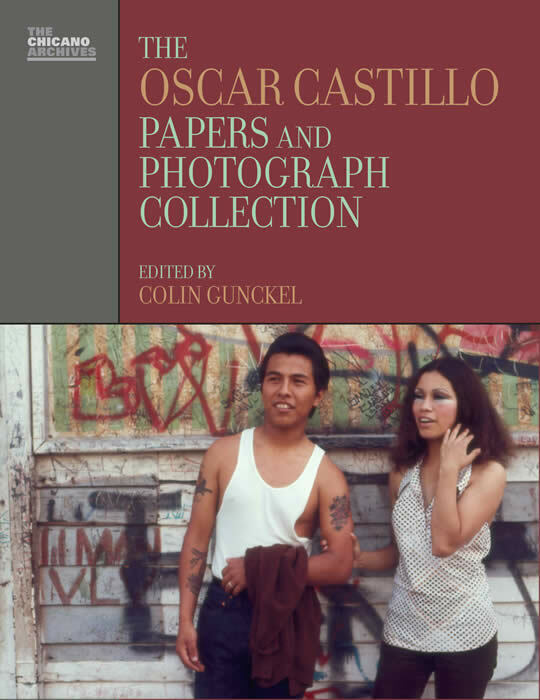 The book also includes a guide to the photograph collection and a finding aid for the Oscar Castillo Papers, a collection of correspondence and other documents housed at the UCLA Chicano Studies Research Center. An exhibition highlight, an exhibition history, and a selected bibliography complete the volume. 16 color plates, 52 black and white illustrations.